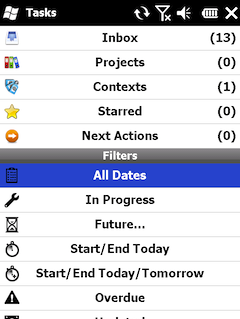 Pocket Informant™ is the only #1 Personal Information Manager (PIM) on Windows Phone that has been around since 2001. For years Pocket Informant™ has won every productivity award, every sales record, and most importantly – our customer's hearts. Pocket Informant™ 9 furthers our lead over the built-in Pocket Outlook and continues to improve your productivity by focusing on getting out of your way and letting you do your work. 9 polishes the user experience, adds "Getting Things Done" (GTD) support, and on Windows Phone 6.5 devices adds full Touch Gesture support throughout. We don't simply let you work with your daily events through lists and grids, but with the new Events and Journal views you can also look at your life's past and future in an easy cohesive environment. You can even have Contact Links directly in the subject of any task or appointment! SmartTouch is a mobile widget platform that provides an exceptional experience for users to enjoy seamless access to branded content and services such as Facebook and Google without the need for a data plan!